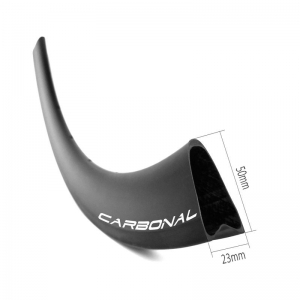 aerodynamic design and outstanding stiffness provides protimum power transfer, perfect for tt testers and triathletes. * Weight: Road, tt - 910g; Fixed gearing, trecking - 1020g. 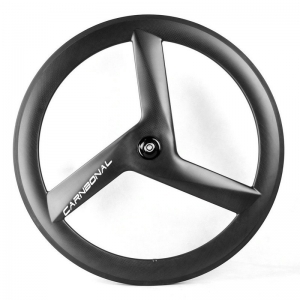 Carbonal does 100% quality inspection and record in database, each carbon tri spoke wheel is given a unique ID number, which allow us to deliver the highest quality product possible and track every wheel to ensure the best after-sale service. Item DT301-F, weight: 795g ~ 880g ±30. 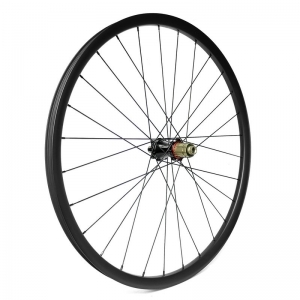 This triple spoke wheel 23mm wide 60mm deep tubular front wheel is aerodynamic design and outstanding stiffness provides protimum power transfer, perfect for tt testers and triathletes. Item DX301-F, weight: 915g ~ 1000g ±30. 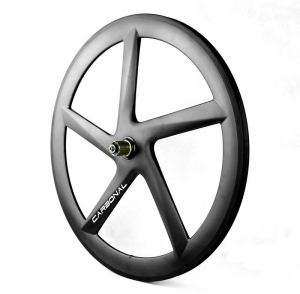 This carbon 3 spoke wheel with 23mm wide 60mm deep clincher tubeless ready is aero design and outstanding stiffness, provides protimum power transfer, perfect for tt testers and triathletes. Item DX301-R, weight: 1030g ~ 1140g ±30. 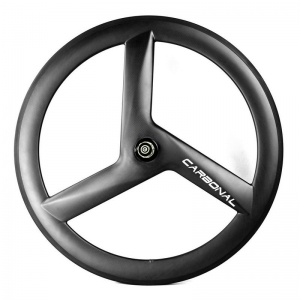 This triple spoke wheel features a 60mm deep rim with a 23mm outer width, aerodynamics design and outstanding stiffness provides protimum power transfer, perfect for tt testers and triathletes. Custom build mountain bike carbon wheels with Extralite boost hub + Sapim CX-Ray spokes. 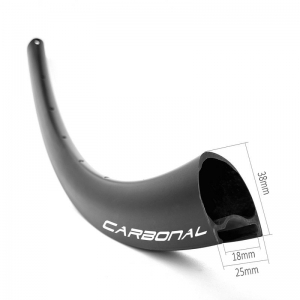 Choose your favorite carbon mountain bicycle rim model. Each wheelset is painstakingly hand built by experienced wheel builder. 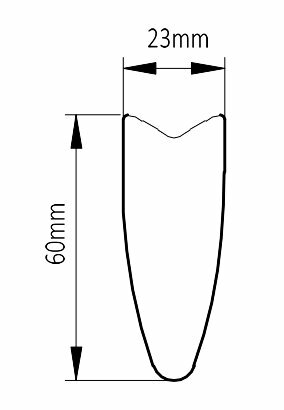 Item RT50W, weight: 380g, ERD 546. 700C road V shape 50mm tubular carbon rim is lightweight and aerodynamics, build into a light 700C carbon road bicycle wheelset. Available in rim brake and disc brake for training, racing and cyclocross.